SEOUL, South Korea (AP) — When North Korea slammed U.S. Vice President Mike Pence and national security adviser John Bolton, its language was very blunt and impolite. 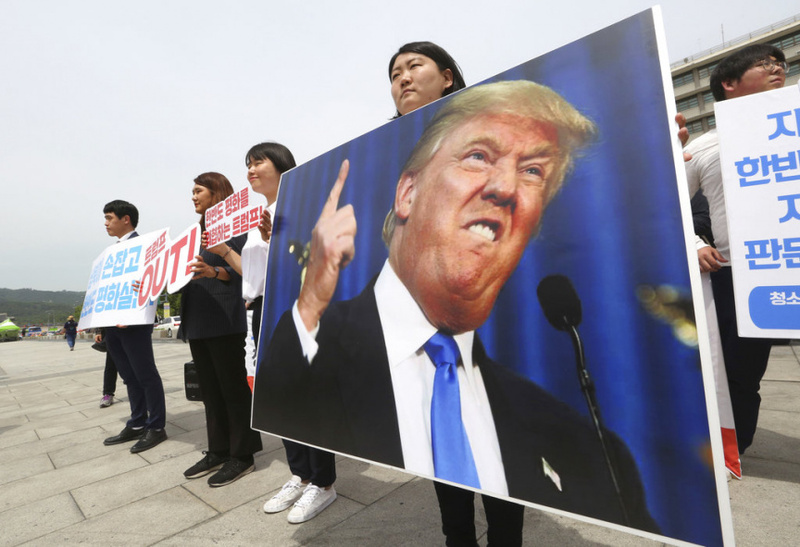 But it was milder than its typical crude and inflammatory insults unleased on other top U.S. and South Korean officials. The North likely had just tried to strengthen its positions amid negotiations on the size of concessions it could wrest from the United States in return for giving up its nuclear program. In remarks carried by KCNA Thursday, Choe Son Hui, another North Korean vice foreign minister, called Pence a "political dummy" over his comments during a Fox News interview that again compared North Korea with Libya. "What appears to be close to an apology letter was contained in Kim Kye Gwan's statement," said Koh Yu-hwan, a professor at Seoul's Dongguk University.